If it seems like juicing is taking over the world these days, maybe it’s because juice bars have popped up in just about every city, more Americans are jumping on the juicing bandwagon, and you can pick up a cold pressed bottle of the nutrient-packed stuff everywhere from your local grocery store to the airport. 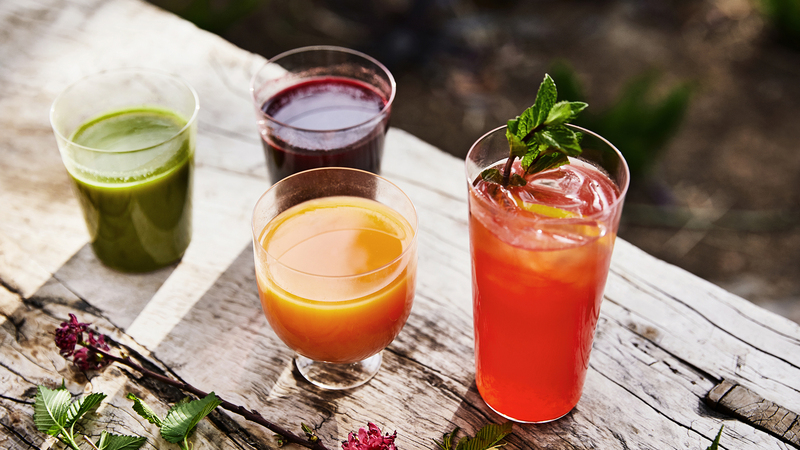 So now that juicing options are officially dizzying, how do you ensure you’re making the right choice and getting the most nutritional bang for your juice buck? 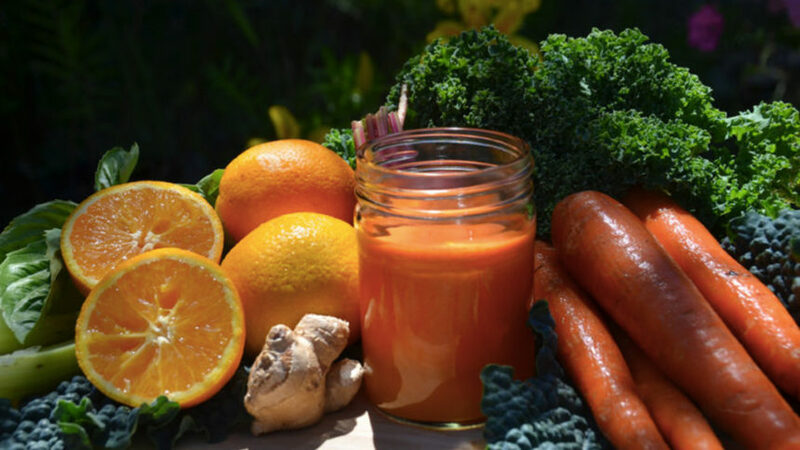 Suzanne Barber, a holistic nutritionist who teaches The Power of Juicing class inside Two Bunch Palms’ restaurant Essense, shares her top tips for getting your juice on. Some lemon or a bit of apple is fine, but you’ll get much more out of vegetables, which will make the juice lower on the glycemic index and lower in calories. Plus, the end goal is to start training yourself to like (or at least get used to) the taste of straight veggies, if you don’t already. Ginger Root: It fights off nausea and helps relieve aches, pains, and arthritic conditions by bringing nourishment to sore areas. And since that nourishment happens from the inside out, your skin will get a boost, too. Greens: Spinach and kale top the nutrient-dense ingredient list and are loaded with iron and chlorophyll, serving as a blood cleanser, among other important gigs. Celery and Cucumber: When you’re really dehydrated, straight water alone may not get the job done. Instead, you probably need electrolytes, which are naturally occurring in celery and cucumber. “They help flush the kidneys and the bladder and the whole urinary tract,” according to Barber. 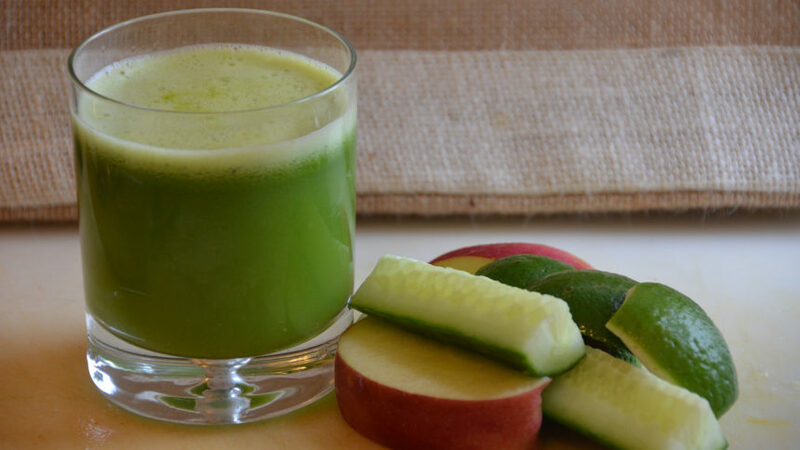 Bonus: Cucumber is cooling and helps combat inflammation in the body.